• Gary Whitta bridges the gap from Rogue One to A New Hope through the eyes of Captain Antilles. • Aunt Beru finds her voice in an intimate character study by Meg Cabot. • Nnedi Okorofor brings dignity and depth to a most unlikely character: the monster in the trash compactor. 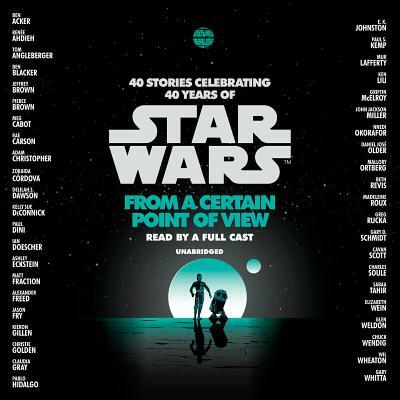 • Pablo Hidalgo provides a chilling glimpse inside the mind of Grand Moff Tarkin. • Pierce Brown chronicles Biggs Darklighter’s final flight during the Rebellion’s harrowing attack on the Death Star. • Wil Wheaton spins a poignant tale of the rebels left behind on Yavin.